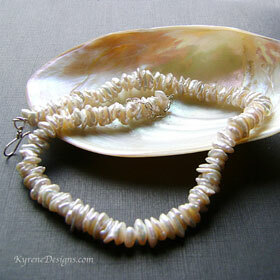 Trendy keishi pearls in natural creamy shades with a gorgeous silvery ethereal effect. 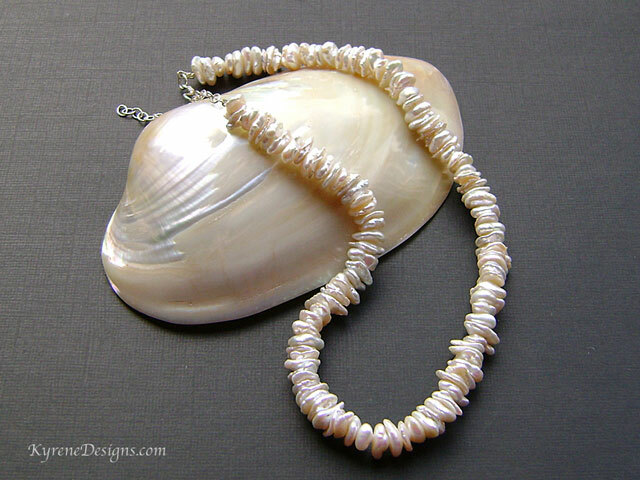 If you are looking for something different in the pearl genre, this fabulous necklace certainly is. Length: 17 inches. Easy to use sterling silver hook clasp, plus 2" extender. Strung on highly flexible jeweller's wire for perfect drape. Bracelet and earrings can be ordered.